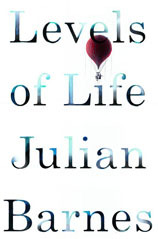 Julian Barnes has given us an extraordinary book, biography and memoir in one. The thread throughout the book is that when ‘you put together two things that have not been put together before … the world is changed.’ In the first instance this is ballooning and photography, which as the opening chapter explains, requires a certain kind of mastery. Today we think nothing of photographs taken from extreme heights, but the first images must have been spectacular, I imagine like when colour television first began. 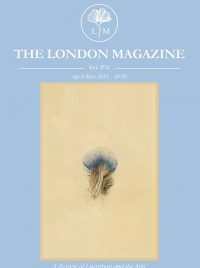 Barnes notes that we live on a level, but that as humans we aspire; ‘some soar in art, others with religion, most with love’. Inevitably then, there has to be a crash landing. The balloon works as a metaphor for life. Barnes is an uxorious man (a word he likes to use a lot) and devotes the book to his wife, Pat who he soared with for thirty years of marriage. Her death has caused Barnes to plummet from the balloon. Barnes bravely unbears his feelings of grief, abandonment, longing and mourning, but he refrains from sharing the secrets of their lives, such as his wife’s last words and rightly so. I agree with Barnes that grief and the experience of death is something you can only understand if you go through it yourself. It is extremely poignant when Barnes quotes a passage from one of his early fictions when he imagines for the sake of one of his characters what the death of a loved one feels like. It is spot on, but of course now it is reality and far from fiction.